The Desert Outlaws is a group of seasoned entertainers who share a common passion for the southern side of today’s music. Though each of the Outlaws has excelled in various genres of live musical performance, their love of good blues, new country, and southern rock has bonded them together like family in a Vegas show spiked with blue collar Americana. A Desert Outlaws show is a fun-filled music rodeo featuring hits from today’s hottest male and female country artists such as Toby Keith, Brad Pailsey, Gretchen Wilson, Carrie Underwood and Jake Owens mixed with classic southern inspired rock from Lynyrd Skynyrd, The Allman Brothers, The Marshall Tucker Band, Janis Joplin and ZZ Top, just to name a few. Wanna Book the Desert Outlaws? 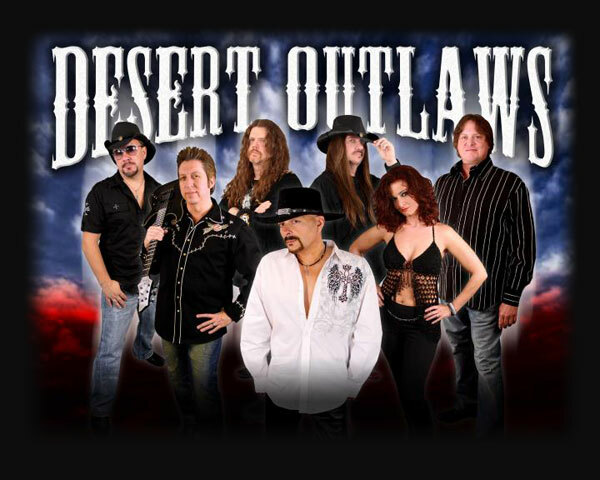 You can book the Desert Outlaws for your next event just by clicking the "Book Them Now" button to the right and filling out the form. We will be in contact with you about their availability as soon as possible.